Beaverly is all upset because she thinks someone has eaten the Moon! She goes to see her friend, Mr. Owl, who explains to her what causes an eclipse of the Moon. 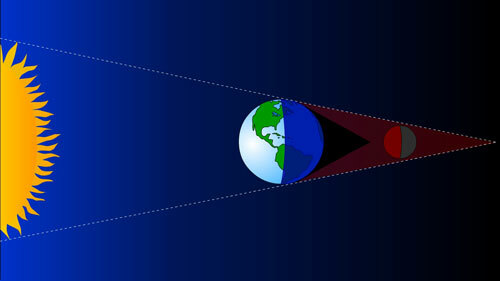 During a lunar eclipse, you can’t see the Moon because it is in the shadow of the Earth for a few hours. You surely know that the Earth turns around its axis. When our side is lit, we call that Day, and when our side is in the shadow, it’s dark and we call that Night. 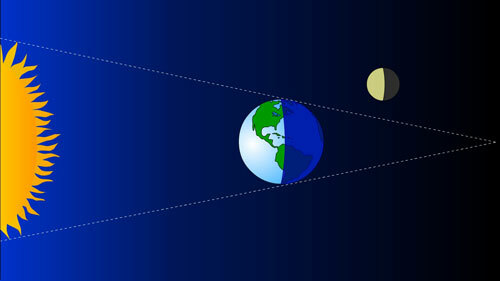 The Moon is also lit by the sun, and that’s why we can see the Moon during the night. But sometimes it so happens that the Moon passes in the shadow of the Earth, as on this picture. 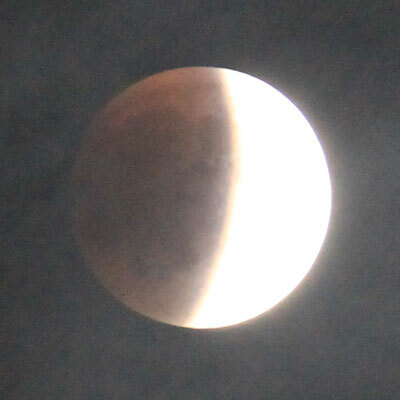 Then, for a few hours, the Moon is in the dark, and you can hardly see it. But since the Moon never stops moving, it continues to turn around the Earth, and it moves out of the shadow. And then you can see the Moon again! But why is the Moon red when it is hidden? That is because the Earth has an atmosphere. The layer of air around the Earth refracts the light of the sun. The rays of red light are slightly bent and enter the shadow zone of the Earth and that’s why the Moon appears red. Phew! I am so happy that nobody ate the Moon, and that it will be there again tonight!